Ana Garcia Perrote and Carlotta Cosials are two girls from Madrid, Spain who make intentionally rough-around-the-edges vintage guitar pop music constructed around major chords and rudimental arrangements. 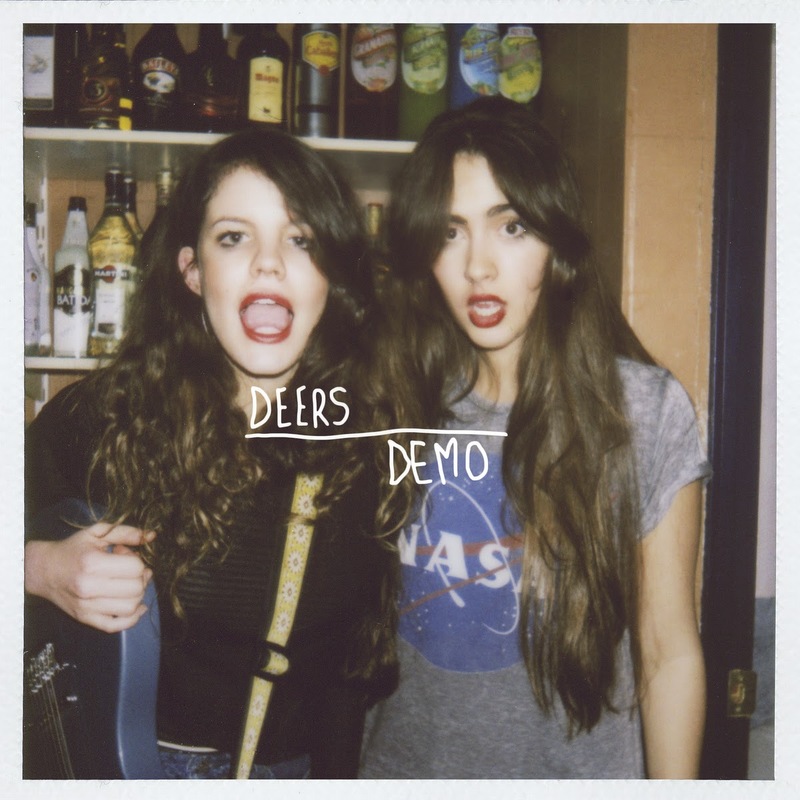 Imperfections are proudly part of their music portfolio, and that’s why Deers sound so charmingly appreciable. The songs revel in their demo quality, eschewing any inclination for bringing on board expert producers to refine the material enough for it to get played on radio. The music is no-frills stuff, but steeped in pop riffs and infectiously catchy melody. The Deer girls are seriously young… like, born well into the 1990s type young. They both cite Britney Spears as an influence growing up, but clarify that neither of them had burgeoning ambitions to become pop stars. They happened to go on holiday together to a Spanish costal town and bought two cheap guitars on the way, wasting time in a largely vacated hostel where they strummed away the hours, liking it so much that forming a band became the ideal to strive for. The stripped down nature of this group’s music calls for a likewise music video. They recorded this clip two days ago, shifting between locations in Madrid and Barcelona, producing the final edit within 24-hours. These kids work fast, but the results are entertaining.